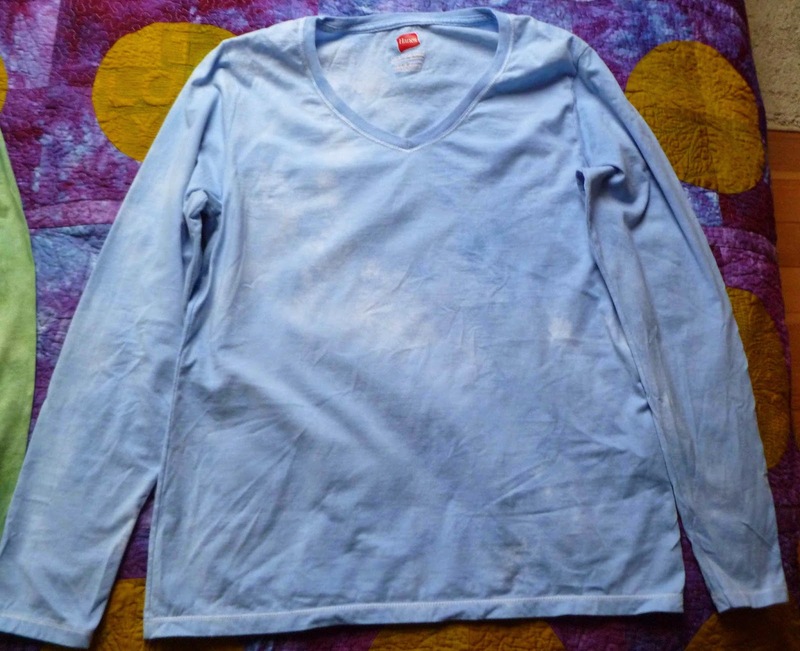 The short sleeve t-shirts I dyed a few posts ago were just thin men's t-shirts from Hanes. 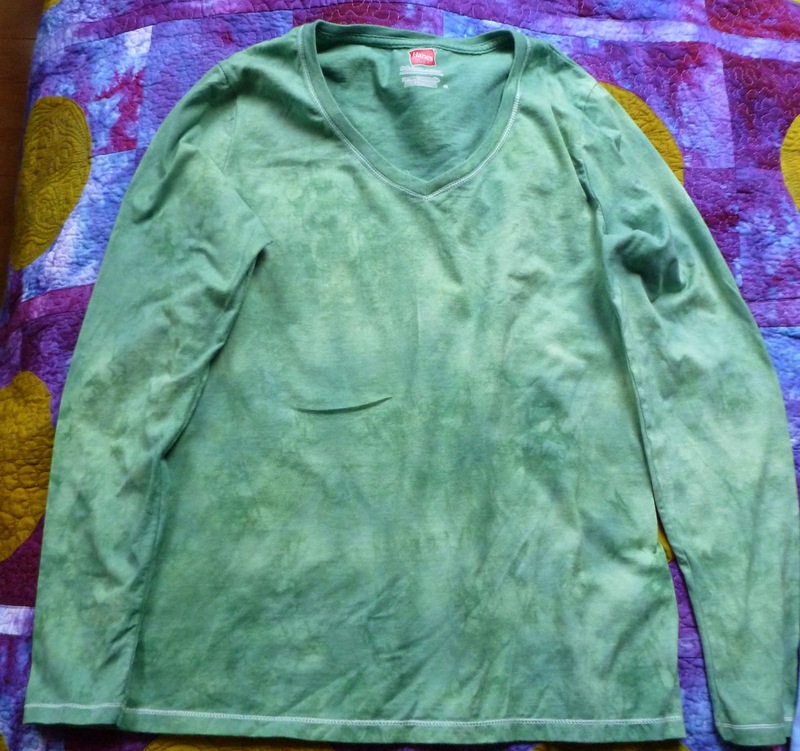 They were so soft I decided to see if I could find long sleeve v neck t-shirts as well. On the Hanes website I found these. They are the same very thin cotton knit that I loved in the men's short sleeves. I thought these would made a great first layer under my shirts for the up coming winter. I saved one in white and dyed the other three. Meanwhile I went crazy and ordered some tanks and camies which haven't arrived yet so you know what you have in store in the near future. 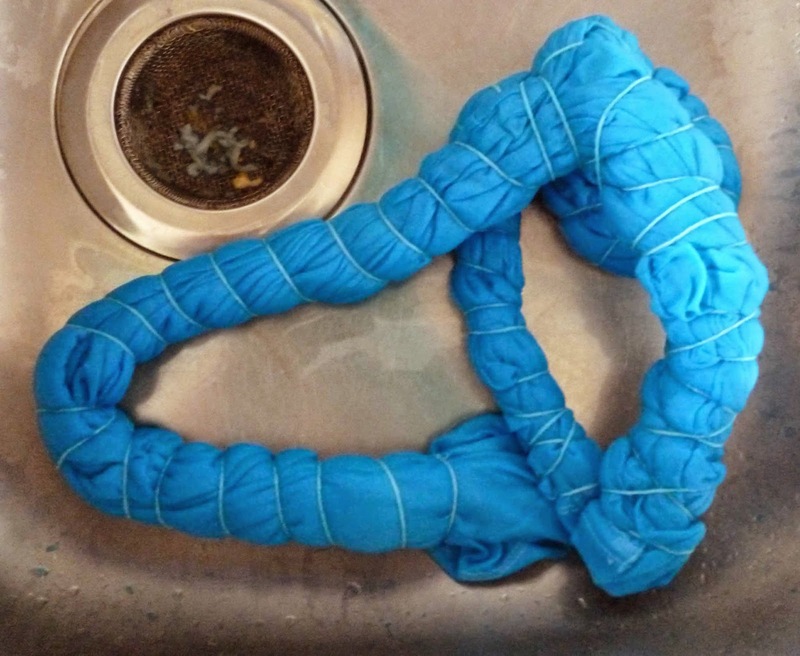 I thought I'd be clever and wrap one in string and shibori dye it. Seemed like a good idea but it didn't come out. Maybe a thicker rope might have done it. These are minuscule white lines, not really noticeable unless you point them out. This was that horrible lime green with deep navy added to it. NICE! Since this post is a bit boring (snore), I am giving away 2 books. 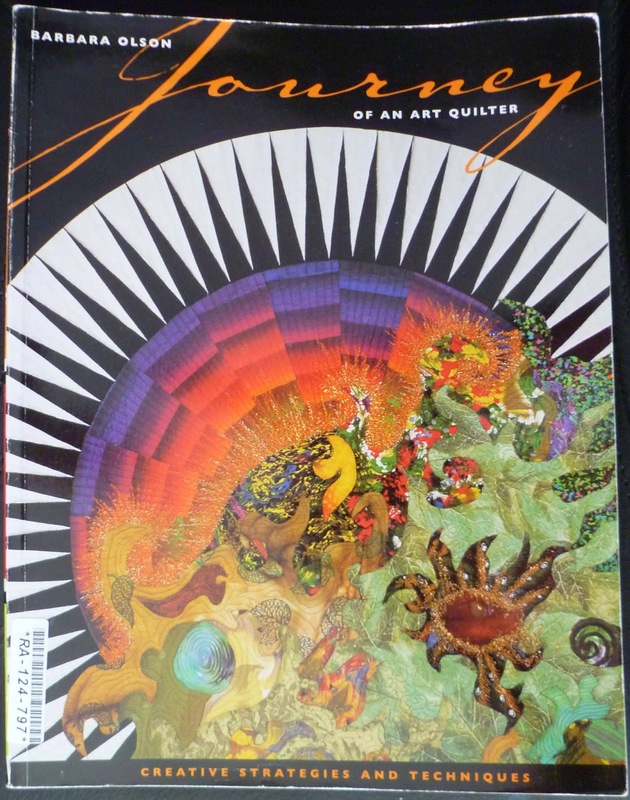 One is very old but interesting called "Journey of an art quilter"
and the other is "Marry your muse, making a lasting commitment to your creativity"
So leave a comment and let me know which book you'd like. I'll pick a name on Saturday. I'll have to check out the link to the Hanes site... always on the lookout for new sources! Curious... did you dye using low water immersion, or dip dye as in vat dyeing? Generally, I get pretty good results with tied pieces if I direct apply using squirt bottles... not as much saturation which leaves better marks. Then I wrap in plastic and batch overnight. 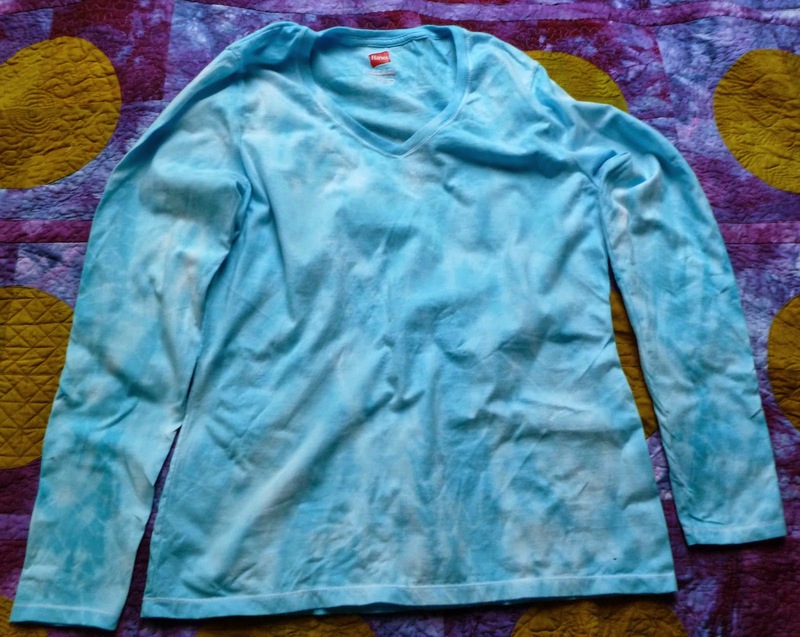 You can always overdye these, and I'm sure you will still get fun results! Nice colors... but then you know these are some of my faves too! 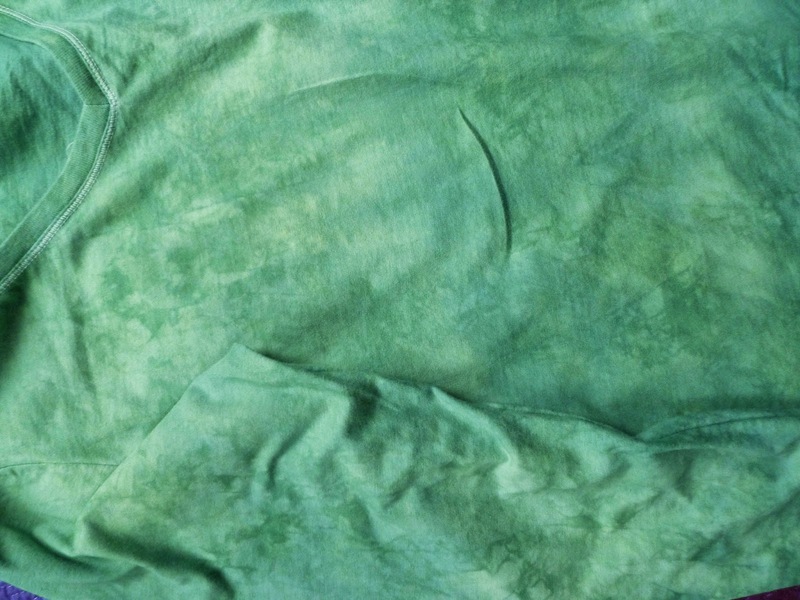 I like the shibori t-shirt, even if it isn't too strong a pattern. I would like the book by Barbara Olson if I win your giveaway...and your post is NOT boring! 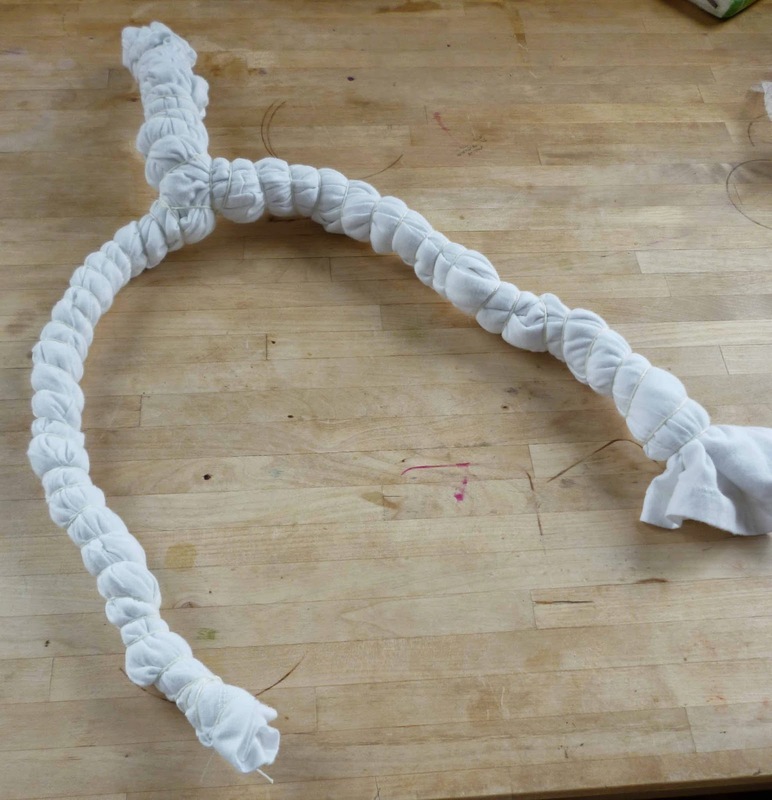 The Shibori may not have turned out as you wanted, but I love the soft tone on tone effect. The green and navy might just be my favourite. 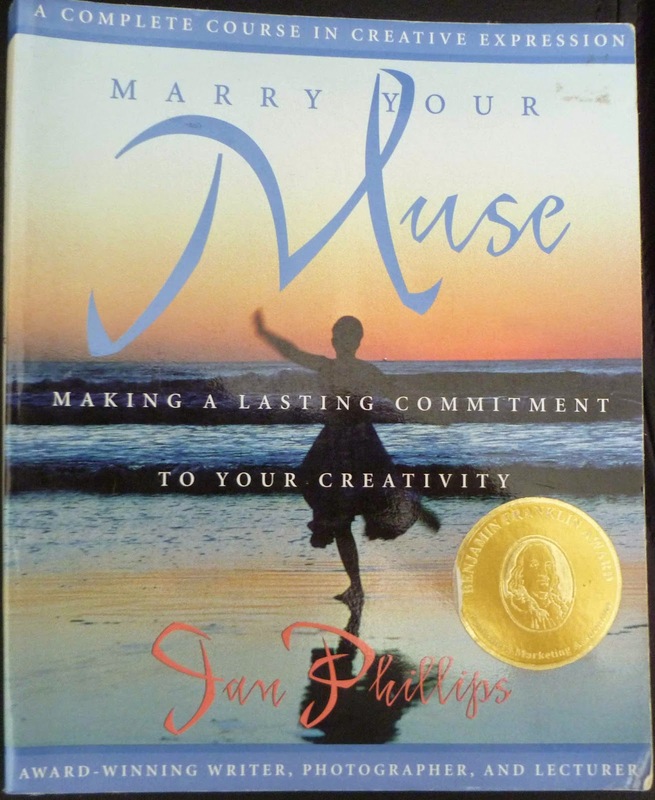 Thanks for the chance to win a book, I'll arm wrestle Elle for "Marry Your Muse". 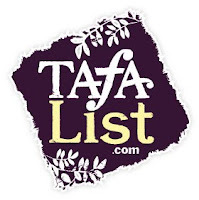 check with SEW SEW YOU HAVE WON A BOOK ! !